In the field of behavioral economics we often come across the term utility. In this context, utility refers to the perceived value (i.e. usefulness) an individual receives when they purchase a good or service. There are four different types of utility: form utility, place utility, time utility, and possession utility. The extent to which these utilities affect purchase decisions depends on the individual. Nevertheless, it is safe to say that all of them can have a significant impact. Therefore, firms have an incentive to maximize the perceived utility of their products in order to attract more customers and maximize revenue. 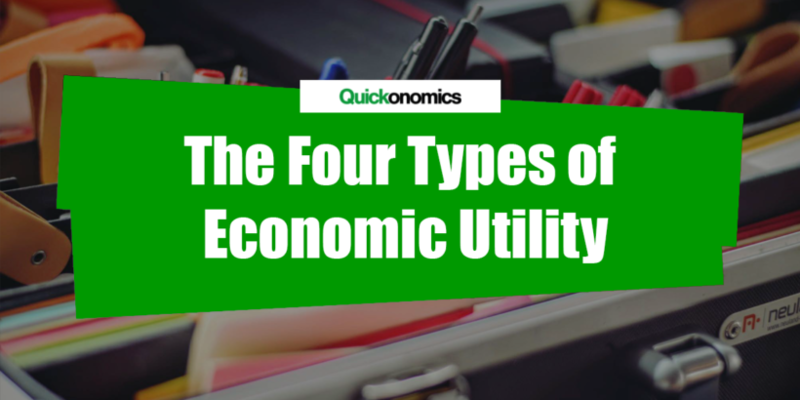 Hence, we will look at the four types of economic utility in more detail below. Form utility is created by the design of the product or service itself. The more specifically a good or service is targeted towards customer needs and desires, the higher its perceived added value (i.e. form utility) will be. In other words, form utility is obtained by transforming customer needs into products or services. 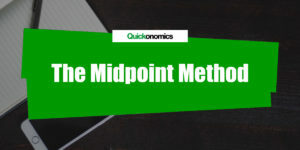 To do this, companies analyze their target markets and survey potential customers to find out what they need. This information can then be used to align product features with actual customer needs. Thus, form utility can be created through things such as high quality materials, ergonomic design, or a wide selection of options to chose from. To give an example of form utility, think of a car manufacturing company. We’ll call it Super Cars. In theory, this company could sell all the parts of their cars separately. However, by assembling the parts (and actually manufacturing cars) Super Cars adds significant value for their customers and thereby increases form utility. Place utility can be obtained through the process of making a good or service more easily available to potential customers. The easier it is to purchase a product, the more attractive it becomes. Thus, place utility has a lot to do with distribution channels and the physical locations at which goods or services are sold. 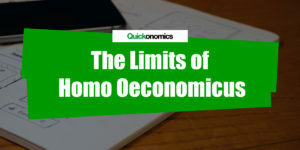 Additionally, some economists argue that even things like the discoverability of the product on the internet through search engine optimization has an effect on place utility. After all, a wide variety of goods and services can be bought online these days. Going back to our example from above, let’s assume Super Cars is an American company. If its cars are sold exclusively within the US, buying a Super Car is obviously not very attractive for Europeans. However, if the company decides to open dealerships across Europe and sell Super Cars overseas, availability (i.e. place utility) of its cars for European customers increases. Time utility is created by providing easy availability of a good or service at the time when customers need or want it. 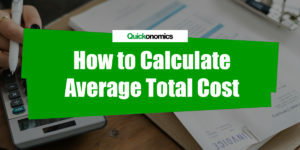 The more easily and quickly a product can be purchased (and used) at that time, the higher its perceived time utility is. In addition to that, time utility is always high in times of scarcity. Hence, a company’s supply chain management has a significant impact on time utility. Among others, this includes processes such as logistics and delivery as well as storage. Companies are constantly improving their supply chain management, which has led to services such as same-day delivery and 24/7 availability. In the case of Super Cars, one way to increase time utility would be to reduce delivery times. Customers often have to wait several weeks or even months for a new car. However, many of them need their vehicles as soon as possible. Thus, if Super Cars manages to reduce delivery times by even just a few days, its cars become more attractive to potential customers. Possession utility describes the benefits that can be derived from owning and using a specific product. Generally speaking, the more “useful” a product is to an individual, the higher its possession utility will be. In some cases – especially according to marketing theory – the term possession utility is also used in the context of facilitating possession, i.e. through easy payment methods such as credit cards or leasing contracts. The reasoning behind this is that a simpler acquisition process usually leads to a higher perceived value of a good or service. For example, possession utility can be created whenever a client is handed the keys to their new Super Car. Simply because from that moment they have possession of the car and are free to do whatever they want to do with it. Additionally, Super Cars can create possession utility by offering leasing contracts, which make it easier for potential customers to actually get access to a new car. In the field of behavioral economics the term utility refers to the perceived value (i.e. usefulness) an individual receives when they purchase a good or service. There are four different types of utility: form, place, time, and possession utility. Form utility is created by the design of the product or service itself. Place utility can be obtained through the process of making a good or service more easily available to potential customers. Time utility is created by providing easy availability of a good or service at the time when customers need or want it. And last but not least, possession utility describes the benefits that can be derived from owning and using a specific product.